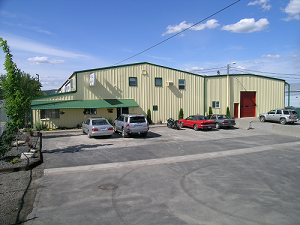 Spokane AC Installations and Repairs | Air Control Heating and Electric, Inc. Call today for your air conditioning repair or install service needs. Summers in Spokane, Washington can be rather unbearable without an air conditioner. With highs reaching 85 to 90 degrees, the temperatures will undoubtedly rise to an uncomfortable level in your house without help. A fully functioning ac unit will keep the temperatures to a nice, cool climate inside your home. If you don’t have an air conditioner, our professionals can help you pick the best unit for you from a wide range of manufacturers, including American Standard and Goodman, and install it for you at a reasonable price. We also repair run down air conditioning units. If you have an older unit, we suggest you speak with one of our professionals about the cost of repairing your unit versus buying a new one. We have found repairing older units will keep you cool, but they tend to use more energy and could be costing you enough that buying new high efficiency model would save you money. We also offer a maintenance package. Year after year, without proper ac maintenance and repairs, your air conditioner could be losing efficiency, thus costing you more money. 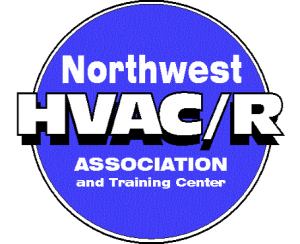 If you are interested in our air conditioning products, or want to schedule an appointment for ac installation in Spokane, contact us or call 509-924-0018. Scheduling regular air conditioner maintenance ensures that your unit will run efficiently for years to come. Just as you would schedule tune-ups for your car, maintaining your air conditioner keeps this big, expensive cooling machine from breaking down at the most inopportune time. The experts at Air Control Heating and Electric, Inc. can help you solve your overheating problems, no matter what your situation. Call us today to get back to feeling comfortable in your home. Another way to keep your air conditioner efficient is to avoid placing lamps and electronics near the A/C thermostat. These emit heat and could be triggering your air conditioner to come on more often than necessary, thus wasting energy. Ensuring this area is free of heat emitting electronics will make sure that your thermostat only comes on when you want it to. Vacuuming your air conditioner registers keeps dust from building up. When A/C registers are clogged and dusty, not only can this affect how your unit runs, but it makes it run harder, costing you more money in the summer. Placing furniture or other objects too close to these registers can also block the airflow. Keep large furniture pieces at least several feet from registers to allow the maximum air intake possible. A ceiling fan will allow you to raise your thermostat 4 degrees or more without an increase in temperature. Ceiling fans use little energy and increase your air conditioner’s efficiency. Following these steps will help your air conditioner run smoothly and save you money in the long run. At Air Control Heating and Electric, Inc., we are happy to provide you with efficiency tips specific to your home. When you schedule an A/C tune-up or install, just ask or call today at (509) 924-0018.